Christophe Fratin was known for his Animalier sculpture and this fine large bronze of a Stallion named FELIX is one of his best works. 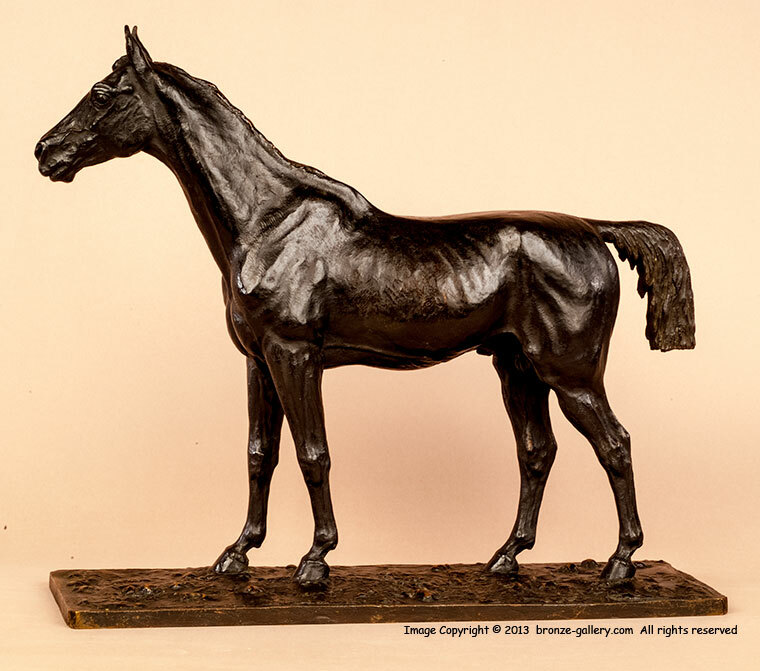 The Stallion is posed at rest on a simple flat sided base which was used in Fratin's earlier sculptures. He is well modeled in a proud stance with his ears up as he looks around. An impressive large bronze of a handsome Stallion which is probably a Thoroughbred or Arab horse. 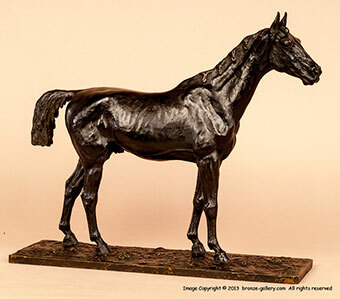 This bronze has a rich dark brown patina and has his name "FELIX" stamped on the side of the base.